"Jessica - I really like you." "Of course you do! Everybody does. I'm friggin dope!" Netflix has debuted the full-length trailer for The Incredible Jessica James, the latest film from talented indie filmmaker Jim Strouse (of Grace Is Gone, The Winning Season, People Places Things - all three are great films). This upbeat indie comedy stars Jessica Williams from "The Daily Show" in a major breakout role as Jessica James, an aspiring playwright living in New York City struggling with the dating scene and the career scene. She meets a goofball guy that she slowly starts to fall for, played by Chris O'Dowd. Also starring Lakeith Stanfield, Noël Wells, Megan Ketch, and Zabryna Guevara. I saw this film at its Sundance premiere and it's wonderful, not only a fantastic performance from Jessica Williams, but an optimistic, light-hearted, enjoyable film to put you in a good mood. Just see it. Swipe Right To Meet…. The Incredible Jessica James! You can still see the first teaser trailer for The Incredible Jessica James here, if you want to watch it again. Jessica Williams ("The Daily Show") stars as a young, aspiring playwright in New York City who is struggling to get over a recent breakup. She is forced to go on a date with the recently divorced Boone, played by Chris O’Dowd (Bridesmaids) and the unlikely duo discover how to make it through the tough times in a social media obsessed post-relationship universe. The Incredible Jessica James is both written and directed by American filmmaker Jim C. Strouse (follow him on Twitter @StrouseJames), of the films Grace Is Gone, The Winning Season, and People Places Things previously. This film first premiered at the Sundance Film Festival this year (read our review). 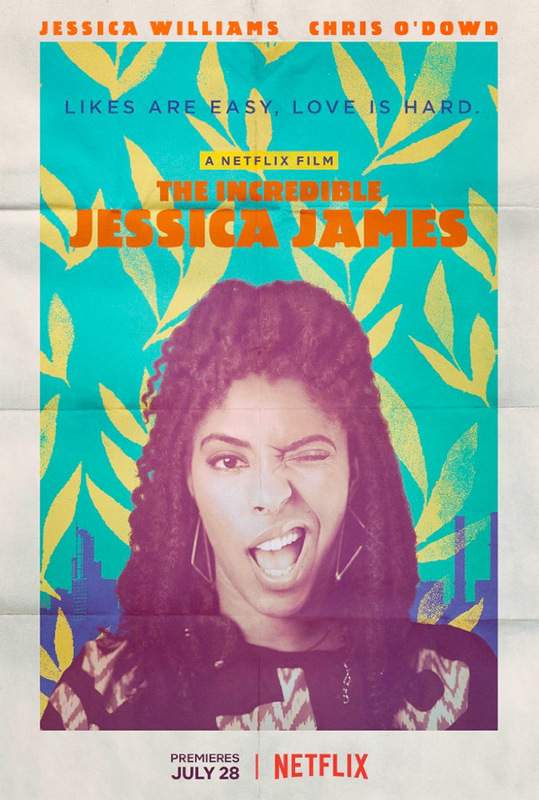 Netflix will release Jim Strouse's The Incredible Jessica James streaming exclusively starting on July 28th this summer. Add it to your list now. Who's interested?